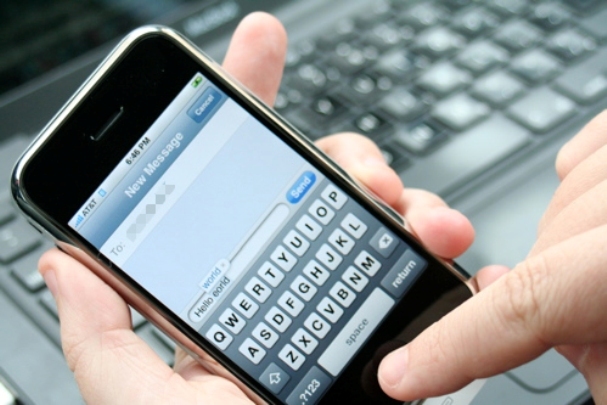 Is Text Messaging Acceptable for Sales Prospecting? Today's blog post comes from Doug Willner, Director of Operations and Training at UBC - An Express Scripts Company. It seems there are many perspectives on the use of texting for business marketing, prospecting and communications. For as many perspectives as there are, there are just as many recommendations. This article by Josiane Feigon is a great example of one interesting viewpoint on the role of text messaging in sales. Rather than accept the assorted sage guidance I decided to run my own small study and ask a few people about their thoughts on using texting for sales prospecting. My hypothesis was simple: I expected older salespeople to be less receptive while younger salespeople would see this as normal communications and as such would be more supportive of the concept. So what conclusions did my little study uncover? The Baby Boomers and Generation X crowd were closely aligned. They tell me they text to keep in contact with their kids (and grandkids) because the kids communicate via text BUT they did do not want to bring texting into their prospecting efforts. The general consensus was that although most were capable of texting, the preference was for an actual conversation or email with a decision maker. Texting simply was not an ideal medium for Baby Boomers to have the time and physical space to engage with prospects. If you think about it, there are only so many words you could put in a text message before you get annoyed with how much information you must include to get that all too important meeting with a prospect. The Millennials and Generation Y crowd who I spoke with, and I admit I thought this group would be more supportive of the idea, were in fact almost violently against texting as a business communication tool. I was informed that for them texting is personal. It was made clear to me that they are not on call 24 hours a day for business. The Generation Z group thought boss to employee, employee to boss, and company to employee text communications just seemed normal and logical. When I inquired about receiving messages for marketing or sales purposes I got mixed responses. It is important to note that this group has had little or no real business experience to call upon for their answers but I would summarize the reaction as more open but certainly not in favor of having people clogging up their texts with solicitations. Using texting for maintaining relationships and checking up on existing relationships was deemed acceptable. While certainly not a powered study on the subject, my take away is that although the web and blogs are bulging with suggestions on how to leverage texting for marketing and sales purposes, now is a time to be very careful about jumping on this trend. When I look at most of my customer base, they fall into the ‘do not support’ or ‘violently do not support’ categories. So my conclusion is simple: When I ask a prospect what their preferred communication method is and they say texting, that’s when I’ll start texting for business.